Light-welterweight Francis Luke Robinson (5-1) is hoping that victory on Friday will set up a rematch with Tony Pace (4-7-1) and give him a chance to avenge his only professional defeat. They first fought in 2012 at the Newport Centre and Pace upset Robinson, winning their four round contest by a point and a rematch would be a natural. He said, “Tony Pace is the fight we’ve been looking at and talking about. I don’t want to give too much away but that’s the fight we’re working on, it makes sense. “After my fight on Friday and if Tony comes through his next fight (March 21st against Lewis Van Poetsch) then we could do it again. “Tony’s been in with some good boys since we fought two years ago. I know I had the lay off for a year with my injury but I’ve definitely improved and I reckon it would make for a wicked fight.” The 22-year-old wishes to follow in the footsteps of his father Steve Robinson who won the Welsh featherweight title 23 years ago with a decision win over Peter Harris before going on to win European and WBO world titles. He said, “Hopefully after this fight I can box for a Welsh title, that’s what I want and that’s what I’m working towards. “The Welsh title was my Dad’s first title, that’s what I want to do first in my career too. 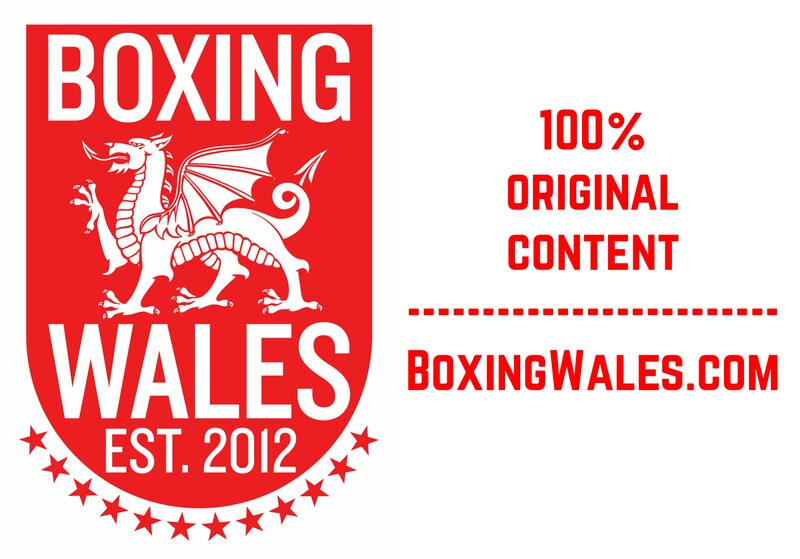 I want to win a Welsh title more than a British Masters or a title like that. Winning a Welsh title would be like a family tradition for us.” Friday’s show, named ‘Enter The Dragon’, is the first promotion of Robinson senior and there are plans in process for a second show in May. Should Robinson junior win on Friday then a rematch with Pace would be a popular headliner in May. First though, Robinson must win an all-Cardiff derby and overcome Tom Price (0-4) when he steps up to the six round distance at the Newport Centre on Friday. He said, “I’ve seen Tom box a few times, I know he’s okay and I’ve heard he wasn’t a bad amateur but he’s had a few tough fights since he turned pro. Jerome Samuels knocked him out when they fought but he gave Peter Ashton a tough fight, so he’s better than his record. “It’s going to be a boxer against a fighter. He’s going to come and put the pressure on me and I’m a counter puncher, that’s my style and I showed it in my last fight against Matthew Ashmole. “Ashmole come in throwing big shots but I just waited for the openings, probably a bit too long but he was bigger than me and I focus on my counter punching against boxers like that. “There’s a lot more for me to give, there’s loads of room for improvement. I was happy with the win, I shed some ring rust and I was injury free which is the biggest positive for me. “I’ve been working harder in the gym now, I’ve had a lot more sparring but I should do the six rounds no problem but I’ve got to up my work rate more now though and start finishing the rounds off stronger.” Tickets to ‘Enter The Dragon’ are priced at £60 for ringside seats with a VIP buffet and £30 for standard seating. You can buy tickets at www.SteveRobinsonPromotions.com or by calling 02920 492970.